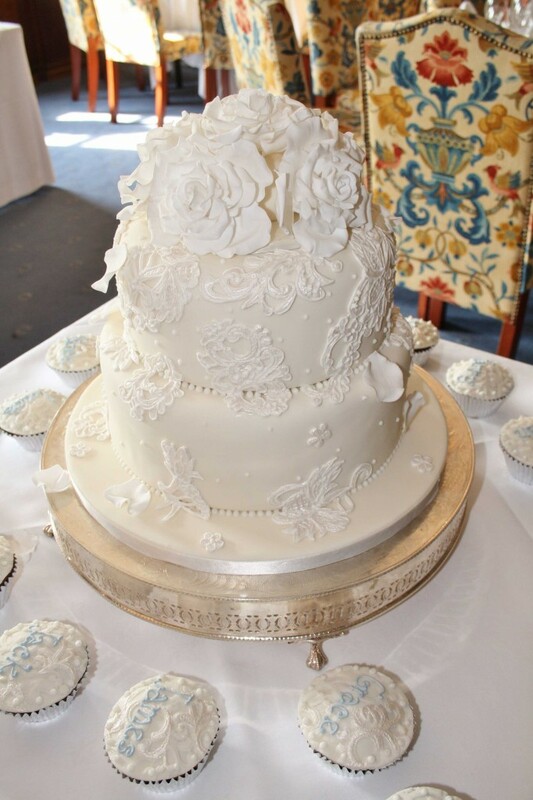 Two Tier Wedding Cake in Surrey. 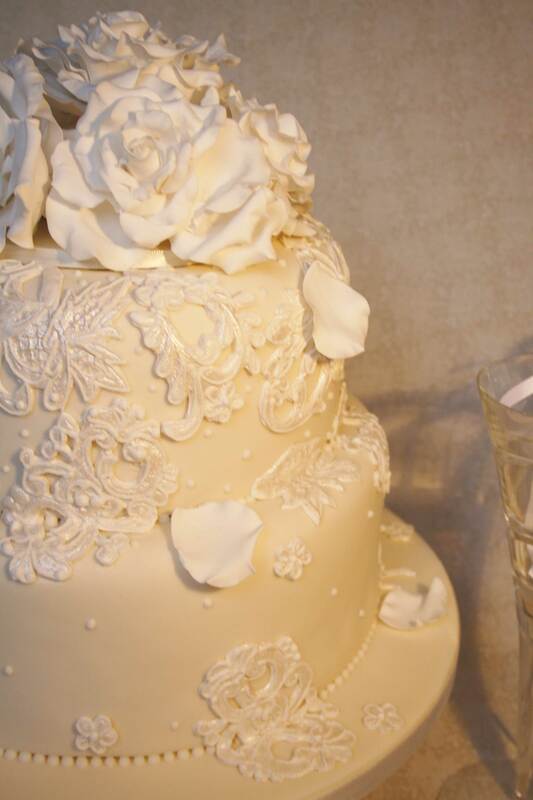 With sugar roses, sugar overpiped pearlised lace work and finished with piped beading to each tier. Satin ribboning and microdots. Moist rich fruit cake. Cake serves 70 finger portions.